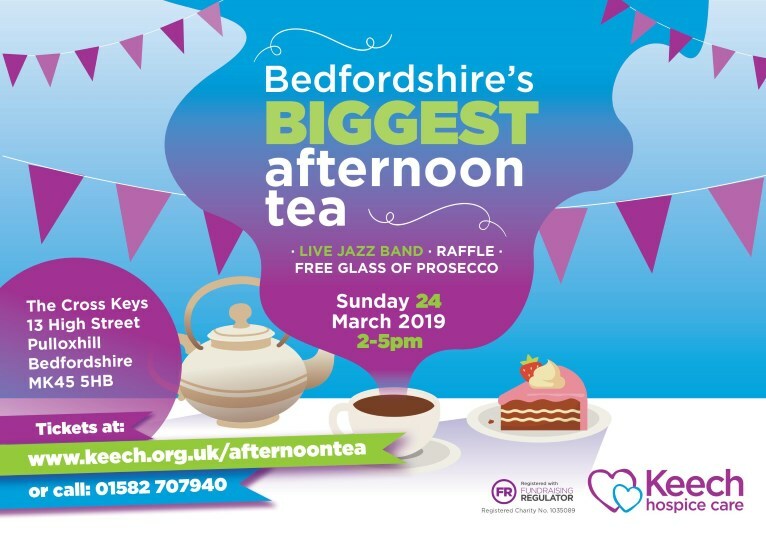 Join us for Bedfordshire’s Biggest Afternoon Tea. Because what better way is there to spend a Sunday afternoon than listening to jazz, eating scones and drinking cups of tea? The event is at the garden marquee at the Cross Keys in Pulloxhill on Sunday 24 March from 2-5pm and is to raise money for Keech Hospice Care. Go on, treat yourself! Get tickets now for you and all of your friends at keech.org.uk/afternoontea or call 01582 707940!